Video Game Firsts - First Political Controversy Surrounding A Video Game | Warped Factor - Words in the Key of Geek. For almost as long as there have been video games there has been controversy surrounding them. Advocates of the medium have emphasised their use as an expressive outlet, arguing for their protection under the laws governing freedom of speech and also as an educational tool. But not everyone agrees, and many groups and organisations have presented societal and scientific based arguments about whether the content of video games change the behavior and attitudes of a player, and whether this is reflected in video game culture overall. Detractors argue that video games are harmful and therefore should be subject to legislative oversight and restrictions. New investigations into the positive or negative characteristics of the medium seem to always be undertaken, and the results of links between video games and addiction, aggression, violence, social development, and a variety of stereotyping and sexual morality issues have been debated by many a government worldwide. "I have seen reports from all over the country of young people becoming so addicted to these machines that they resort to theft, blackmail and vice to obtain money to satisfy their addiction. I use the word "addiction" not in its increasingly common misuse, as being generally fond of something, but in its strictly correct sense of being so attracted to an activity that all normal activity is suspended to carry it out. That is what is happening to our young people. They play truant, miss meals, and give up other normal activity to play "space invaders". They become crazed, with eyes glazed, oblivious to everything around them, as they play the machines." "The measure proposed by the hon. Member for South Ayrshire (Mr. Foulkes) is outrageous and ridiculous. If I have glazed eyes, it is perhaps because I am the one hon. 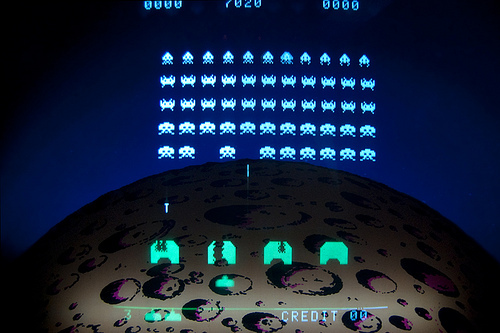 Member who is an avid player of "space invaders". 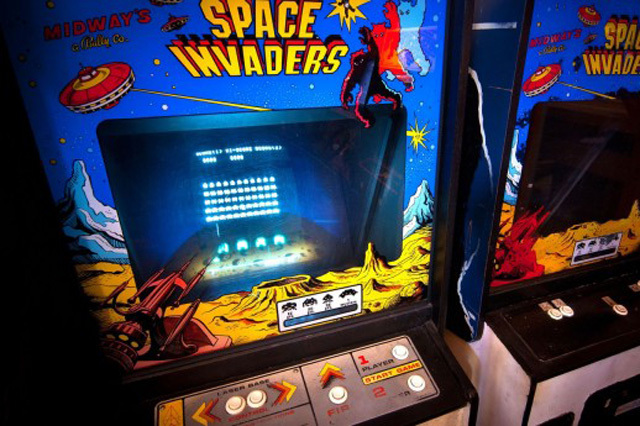 I make no apology for the fact that before I came to the House early this afternoon I had an innocent half pint of beer in a pub with a couple of friends, put 10p in a machine, and played a game of "space invaders". The machines—in amusement arcades, in seaside resorts and even in pubs—provide genuine, harmless entertainment for young people." Thankfully the bill was defeated, albeit narrowly, by 114 votes to 94 votes, and so we can still derive "harmless entertainment" from video games today. Find all our previous "Video Game Firsts" articles here.